The only blot on an otherwise great season for Zamalek was caused by Ittihad as the White Knights will be looking to exact revenge on their Alexandrian opponents in the Egyptian Premier League on Saturday. Zamalek, who look well equipped to win their first league title since 2015, were surprisingly knocked out of the Arab Zayed Cup at the last 16 stage after losing to Ittihad on a shootout following a 1-1 aggregate draw. They might have taken Ittihad lightly in the Arab tournament game in November, especially after hammering them 5-1 in the league in the league earlier in the season for their biggest domestic win so far this term. 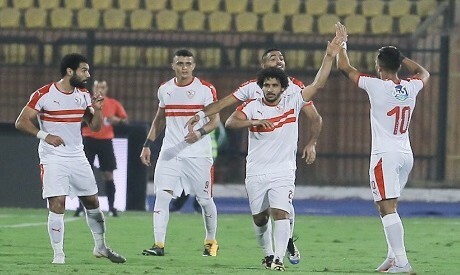 Zamalek will also be eyeing a ninth straight win that will confirm their status as firm favourites to win the title as their challengers falter. Pyramids FC came from behind to beat holders Ahly 2-1 on Friday, leaving the Red Devils sixth in the table, 14 points behind leaders Zamalek albeit with two matches in hand. The big-spending Pyramids, who are second, closed the gap on Zamalek to five points but the White Knights can restore their comfortable eight-point lead on top with a win over Ittihad. Ittihad have caused some upsets this season, defeating Ahly 4-3 in October and overcoming Tunisian giants and African champions Esperance in the Zayed Cup round of 32. They lie 11th in the league table with 20 points from 18 matches. Zamalek will play without their main striker Kabongo Kasongo after the Congolese joined Saudi Arabia's Al-Wehda on loan. They are expected to sign Morocco striker Khalid Boutaib as a replacement.